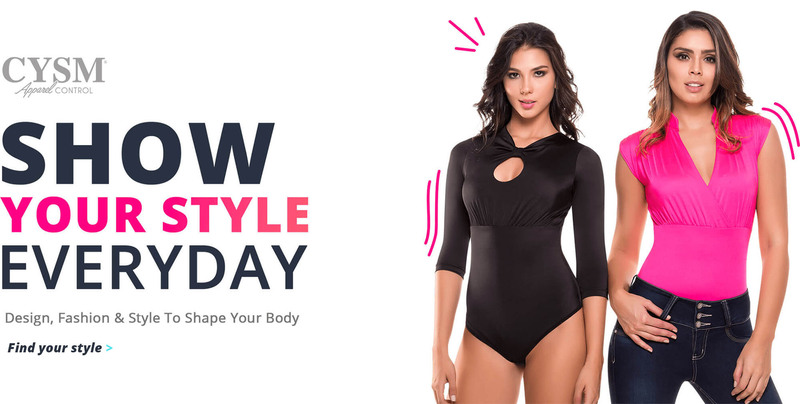 CYSM Apparel Control will make you fall back in love with wearing gorgeous tight-fitting tops, because the medium-compression provided by the bodysuit design will slim down your waist and midsection instantly, eliminating back rolls, muffin tops and love handles altogether! 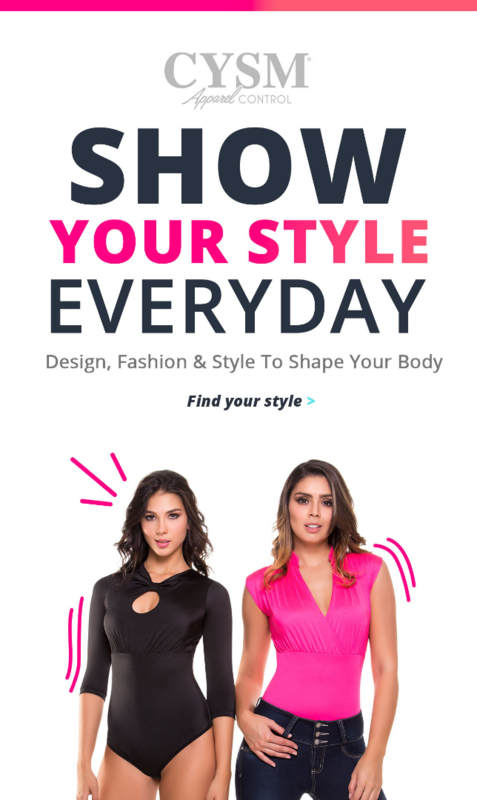 Can provide the ideal garment, which will not only highlight one's best features but also make you feel incredible with our health and special features. With a comfortable skin-tight fit which makes them invisible under any type of attire. Ultra soft yarns designed for control on specific areas. The CYSM Apparel Control collection has a stunning look for every taste and occasion; paired with all the body-shaping benefits! Shapewear garment, eliminates the intermediary between sensual form- fitting daily outfits and an effortlessly slimmer silhouette. The lightweight design and breathable materials used, as well as the ideal amount of stretch incorporated into the control bodysuit structure. Shapewear garment eliminates the intermediary between sensual form-fitting daily outfits and an effortlessly slimmer silhouette. By integrating abdomen control features and eliminating any chance of muffing tops or love handles showing through. 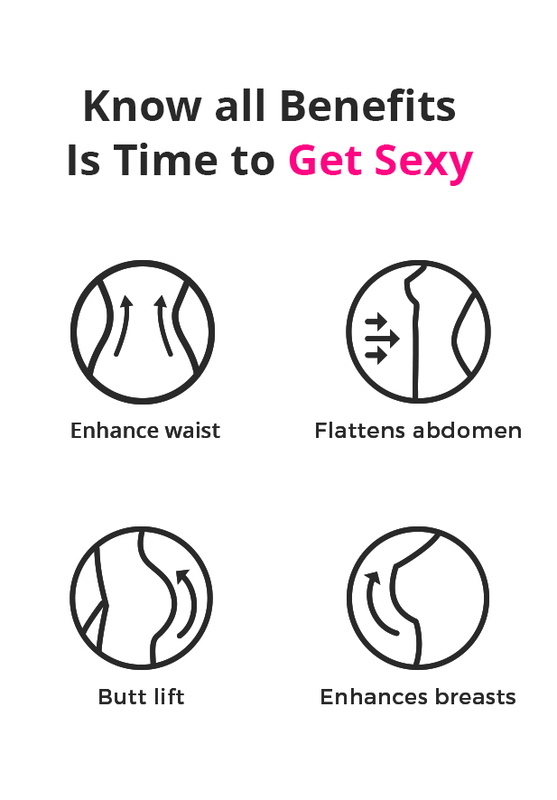 By tucking in all the extra inches that are currently keeping you away from wearing form-fitting tops. "Clara is a great fit, that's both comfortable & stylish. And it does the job of making your clothing look & fit better, thank you !" "Me encanta que tengan comprensión en el abdomen. La textura de la tela es super suave y combina perfecto con mis denims casuales"